(Newser) – It has been called the world’s most mysterious book. 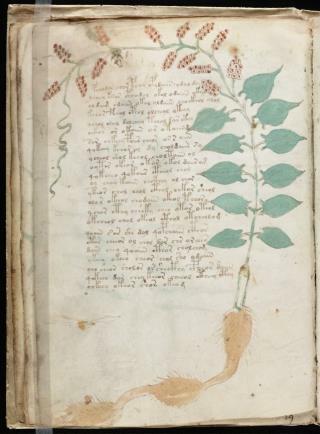 The 15th-century Voynich manuscript, which, as the Guardian puts it, combines an "intriguing mix of elegant writing and drawings of strange plants and naked women," has stumped scholars for decades. Now, after a 10-year quest, small Spanish publisher Siloe has won the right to reproduce the mysterious tome, which sits in a vault at Yale University. Siloe will publish 898 replicas of the manuscript next year, raising the hope that a cryptologist will be able to crack the code, notes the Telegraph. The reproductions won’t come cheap, however, each costing between $8,000 and $9,000. "It's a book that has such an aura of mystery that when you see it for the first time … it fills you with an emotion that is very hard to describe," delighted publisher Juan Jose Garcia told the Guardian. Some 300 copies have already been pre-ordered. This article alone could be made into this year's most awesome trailer, projecting the production of an estimated trillion-dollar screamin' box office record. Just think, you could sit way back comfortably in the audience in total wonder, scratching your heads. Utter nonsense. I can read this page just fine. I just can't understand it. There lies the problem, methinks. I'll just wait for Cliff's Notes.